Recently I was checking on the progress of Apple Hill Cottage’s old house project. When one owns an old house, renovations usually lead to the discovery of old rodent nests, as well as the mess they leave behind. Rodents do not make for very good house mates. I commented on my battle with some rats who have decided to take up residence under my old house. I have a zero tolerance for rodents living anywhere on my estate. In my comment I mentioned that I make two minor modifications to the traps that make them very deadly. Mrs. AHC asked me to share what I do to my traps to make them effective killing machines. 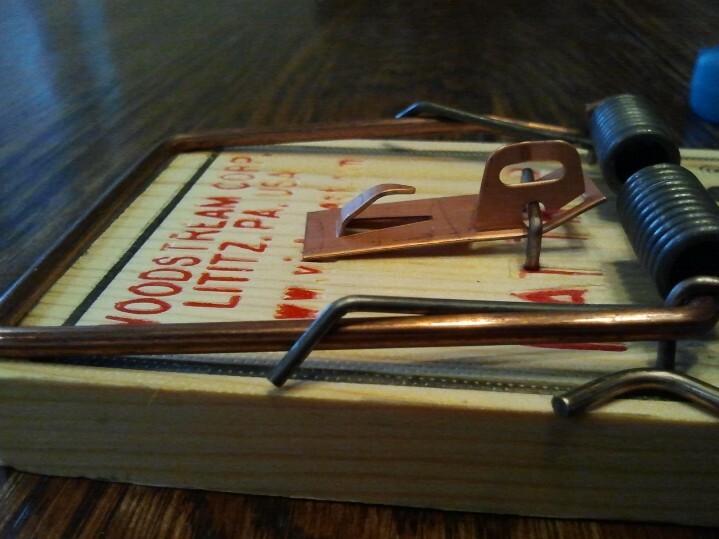 Below you will find step-by-step instructions to tinker with your Victor Rat Traps to make them the most efficient and effective way to kill rats. The past couple of weeks Maggie has been on the hunt for something in her backyard. Each time she goes out she make a loop around the Summer Kitchen and ends up at the vent where the A/C lines go in under the house and into the basement. This screened vent has been a entry point for uninvited guests in the past. Due to Maggie’s persistence, I decided to set up some rat traps. But before I set them out I made my two small modifications that make the trigger mechanism extremely sensitive. 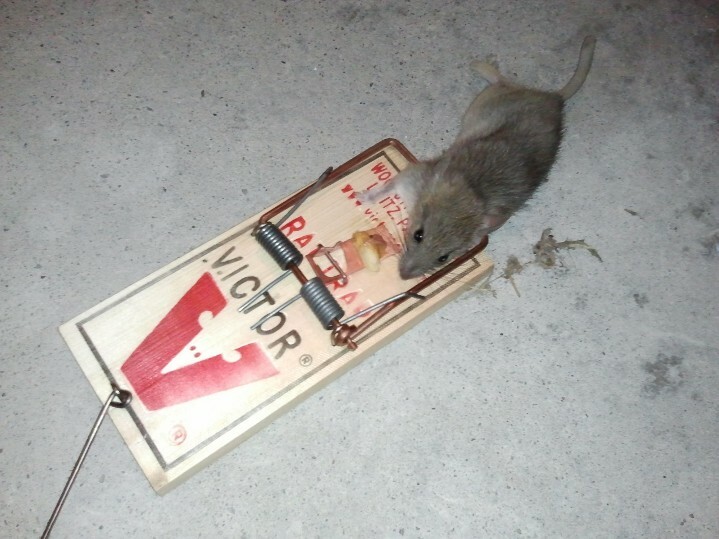 These first four pictures are of the standard off the shelf Victor rat trap (the best on the market to turn into efficient killing machines). 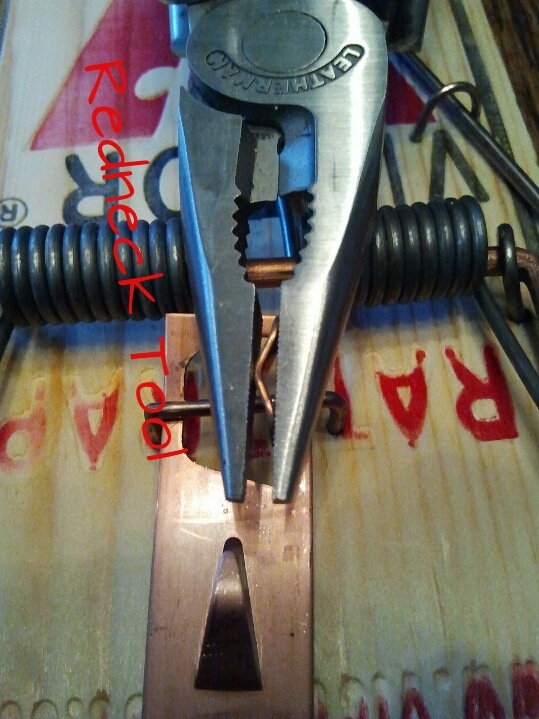 The two parts of the trigger mechanism I modify is the bait hold and the part that holds the bail trigger. I bend the bait holder into a curved hook (above) to hold a peanut (below). This shape makes it impossible to remove the peanut without triggering the trap. The second modification is to the feature that hold the trigger that in turn holds the bail in place. This is what creates a hair trigger. It only takes a little bit of compressing to this feature to make the trap a more efficient killing machine. As you can see in the next two pictures, there is not much holding the bail trigger. This minor modification makes the trap so sensitive that just setting it down can cause the trap to snap. WARNING – At this point I should mention to hold the trap only on the sides unless you want to experience what a rat feels. 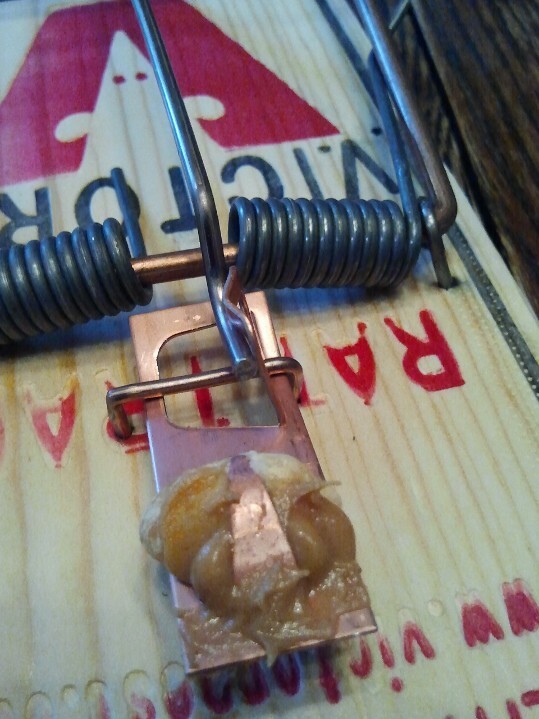 The keen eye will also notice I added a little peanut butter which I have found to be the best bait to lure the rat in. If they succeed in licking off the peanut butter, the main course brings instant death. So with my modified traps in place the first night I got my first kill. Did I mention I hate rats? 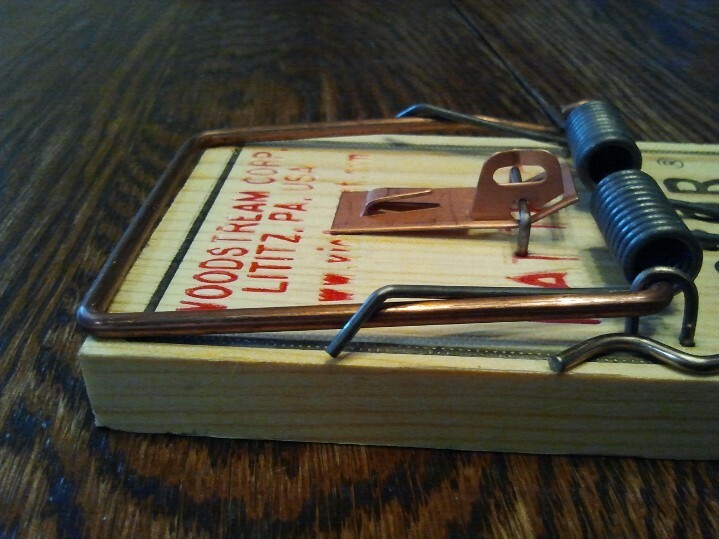 There is only one thing worse than rats and that is dealing with the traps with dead rats. Both rat and trap get tossed in the green can. 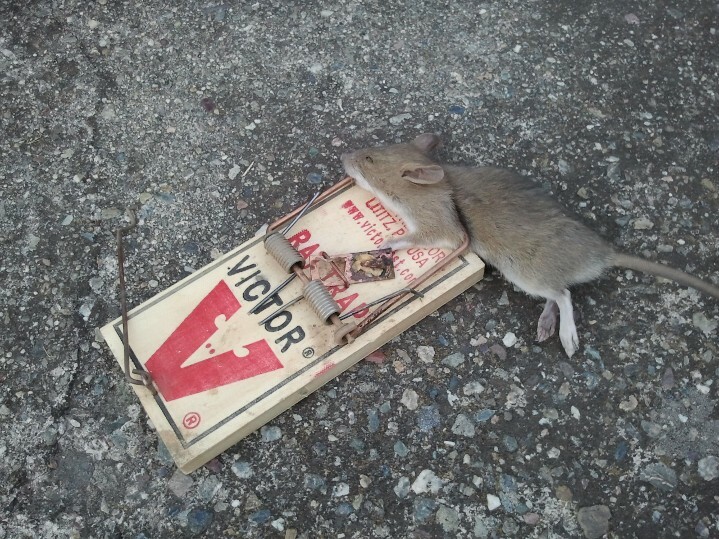 I set another trap in the same place and bam, kill number two. The only problem this time is another rat decided to snack on his fallen comrade. It is one thing to be living under my house but to eat my kill is not acceptable. I quickly came to the conclusion that I had at least a third rat that I referred to as Psycho Rat. I decided that Psycho Rat was going to die in the same trap as his partially eaten companion. So with my gloves on, I cleared and reset this trap for Psycho Rat. I was out of Victor rat traps and added a second brand in case Psycho Rat waited for another buddy to get smacked first so he could have another snack. Psycho Rat went for the peanut butter in the second trap but his tail triggered my modified Victor trap. 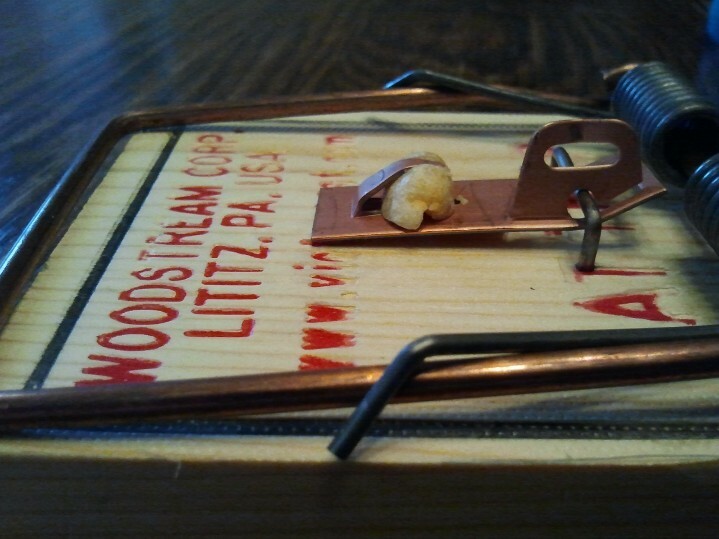 The trap was located a short distance from its original location with the bait gone but with Psycho Rat’s chewed off tail in the trap (hence the name Psycho Rat). 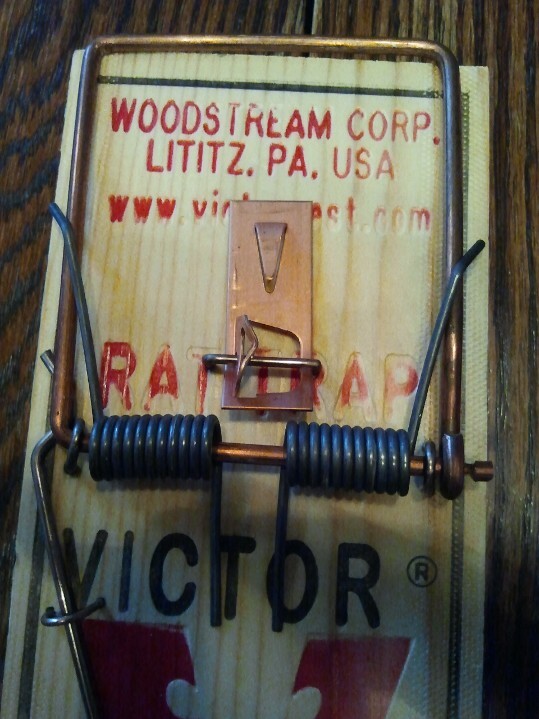 This trap was tossed in the green can and a freshly modified Victor trap added to my trap line. It was just a matter of time. A buddy of mine, Glenn, and I went a out for pie and shared a bunch of stories that only two rednecks would find hilarious. 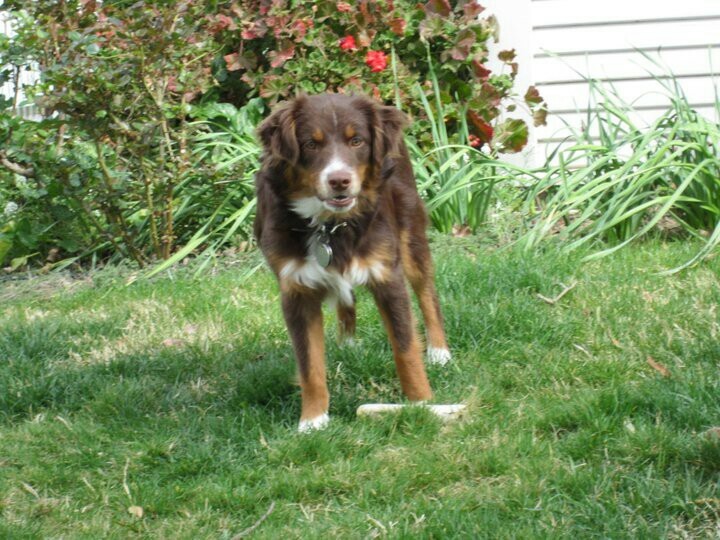 Glenn happens to have a raccoon problem and one night he and his dog Ruger, a duck hunting Labrador that is allergic to water, treed a raccoon. After Glenn shot it several times with a pellet gun, with no success, he decided to give the tree a good thump with his shoulder to dislodge the raccoon. By this point the raccoon was pretty mad and decided to relieved himself. Unfortunately for Glenn gravity did not work in his favor. After I arrive home after a good laugh and pie, I put on my headlamp and went out to check my trap line. By now I’m sure my neighbors were starting to wonder why I was wandering around my yard at night with a headlamp, gloves and a flashlight. 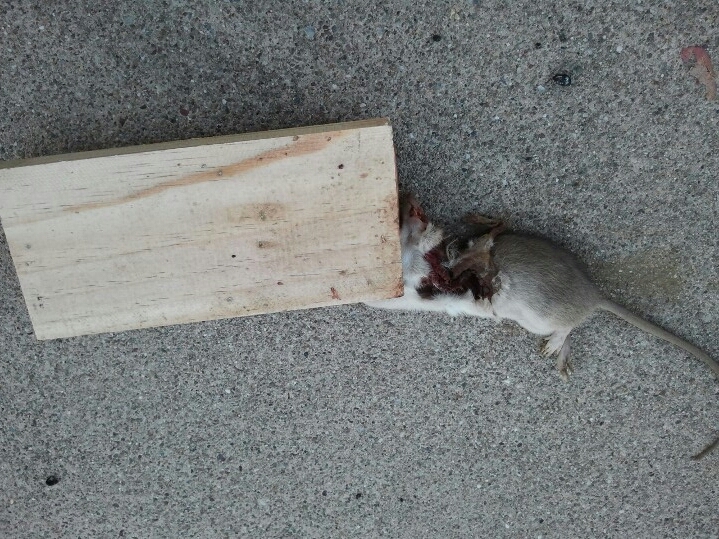 But to my surprise, Psycho Rat was found dead…note the stubby tail. 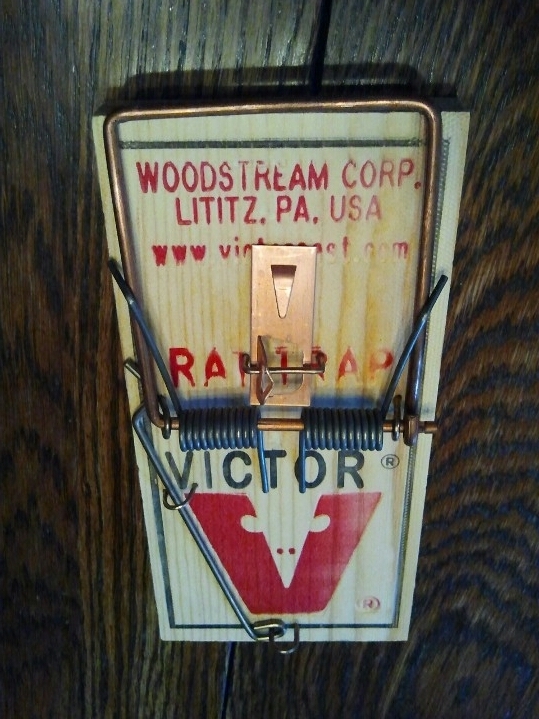 So far the rats are loosing against my killer rat traps. Best part is, if I decide to reuse them, I don’t have to re-bait the trap. If you happen to be a rat lover, I apologize for my images of dead rats. But as long as they come on my estate, they will die a quick death. Also, please don’t write to me any comments about cruelty to rats for they won’t be read nor published. 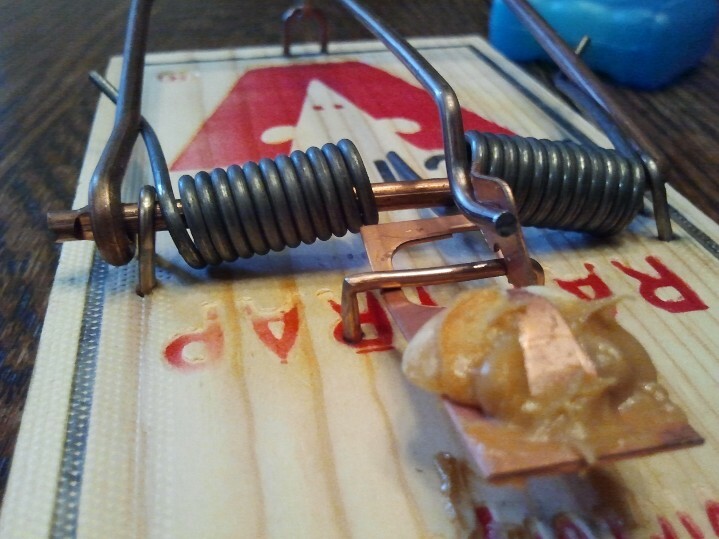 This post is meant to share how to make a rat trap more efficient at ridden your residence, shop, garage or barn of disease spreading rodents. I have a zero tolerance for spiders, earwhigs, and any other creepy crawlies inside my house. And don't get me started on the disgusting things I find in the pool skimmer. So many mice. But sometimes a mouse and a snake. Mouse is always bloated and dead. Snake is always still alive. Slithery, gross freak. I’m in a lot of trouble without spell checker! Do you think there is really a Society for the Prevention of Cruelty to Rats? I’ve heard that mice and rats don’t live together because the rats eat the mice? Do you think that’s true or just an old rat’s tail? Too punny. 😀 Based on my recent experience, if a rat eats a rat, I see no reason why it would not eat a mouse. Our rats seemed to prefer French cuisine for their food of choice was escargot. Lots of empty shells under the house…care to guess my project for the weekend? At least they can’t accuse me of gassing, suffocating and poisoning rats. All of mine were offered a healthy meal that was high in protein. The rats made their own choice. Their only failure was to assure the dinning establishment was safe. PETA could charge Psycho Rat with an act of cannibalism and intentional dismemberment of his own tail. Too funny! And I wonder if that trap would work on weasels? Any suggestions? I located some images on the web of weasel kills using Victor rat traps. I think it really depends on how large a weasel you will be killing. The trapping bail has a lot of force. 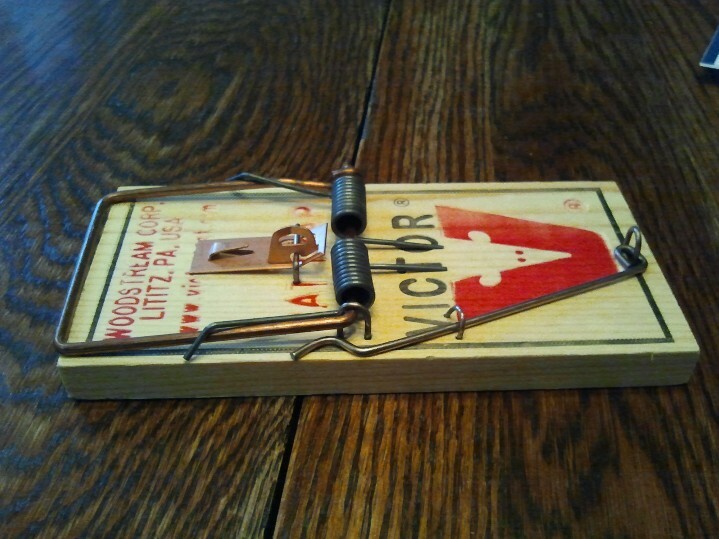 Tie the trap with a chain to something solid (metal stake or pipe) in case you don’t get a clean kill. Also check to see if it is legal to kill weasels in your area. Nobody except PETA cares about rats. There was concern in India that rats were being slowly gassed to death in a warehouse. I provide a protein rich meal and they make their own choice to dine under my house. I can’t control their poor choice of eating establishments. The kill is instantaneous. Is it wrong to laugh at such a morbid thing? When rats are the subject, no. The mess they made in my basement and under the house is proof.